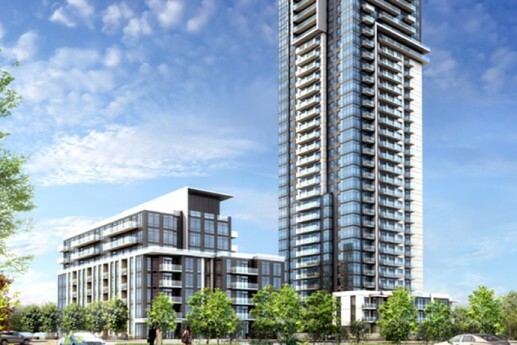 Atria IV – Bousfields Inc.
Bousfields was retained by Dorsay Development Corporation and Tridel to plan a new development at 2205 Sheppard Avenue East. The project redesignated land previously designated for employment use into a mixed-use development along one of the City’s designated Avenues. The proposal consists of four residential buildings ranging from 12- to 43-storeys, a total of 1150 units, two new public parks and a new public road. The property is immediately adjacent to the proposed Consumers Road transit station on the Sheppard East Light Rapid Transit line and is a strong example of a transit-oriented intensification initiative. Bousfields was responsible for project management related the Official Plan Amendment and Zoning By-law Amendment applications. Peter Smith provided evidence in support of the project at the Ontario Municipal Board in support of the development, as well as at the Divisional Court with specific regard to employment land policies. The development is currently under construction.